"What a surprise!" said no one. 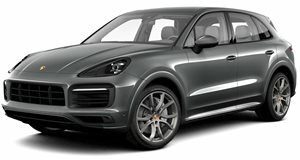 The boom in the popularity of SUVs has had a profound effect on many car companies, and perhaps none more so than Porsche. Two decades ago, the sports car maker from Stuttgart wasn't even associated with machines of this ilk, and now we're living in a world where the Macan and the Cayenne each make up a third of Porsche's total annual car output. As a result, it 's of no surprise to read a new report from Autocar on Porsche's development of an all-electric SUV. Though not yet following in the Mission E's footsteps of being officially confirmed for production, the new Porsche EV SUV is expected to be given the green light fairly promptly, with a production-ready version allegedly scheduled for launch sometime in the early 2020s. Despite being pegged as a Cayenne-sized vehicle, though, this Mission E-style SUV will likely share more major hardware bits with the upcoming Audi Q6 e-tron Quattro. That being said, it's claimed this all-electric Porsche SUV will adopt a similar bodystyle to the Cayenne Coupe we spied a short while ago. You can decide for yourselves whether an all-electric coupe-SUV is the right path for Porsche to take. We drove the all-new third-gen Cayenne: this is still the SUV to beat.